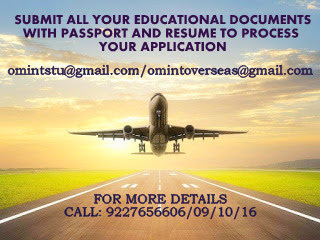 OM VISA Consultancy - Global Immigration, Students, Visitor, Business & Work VISA Consultants: Study with Low costs in the Heart of UK At LEEDS BECKETT UNIVERSITY Enroll Early & Get 10% full fee payment discount, Enroll With Gujarat's Leading Visa Consultancy "OM INTERNATIONAL"
Study with Low costs in the Heart of UK At LEEDS BECKETT UNIVERSITY Enroll Early & Get 10% full fee payment discount, Enroll With Gujarat's Leading Visa Consultancy "OM INTERNATIONAL"
Ø Founded in 1824, More than 28,000 students more than 75 different nationalities. Ø Located in LEEDS(Centre of the UK), just two hours from London by train. Ø Ranked 4th in the UK for graduate employment. Ø Work placements arranged with organizations such as Disney, Samsung, Apple, Nike, BMW and many more.